If you have been working for a while, you should know that quality control is of the utmost importance. Quality control is one of the most important aspects of a company. It ensures that the company is functioning the way it is supposed to. Once quality control has been enforced, it requires regular reports. That is why you need to take a look at these quality control templates here. 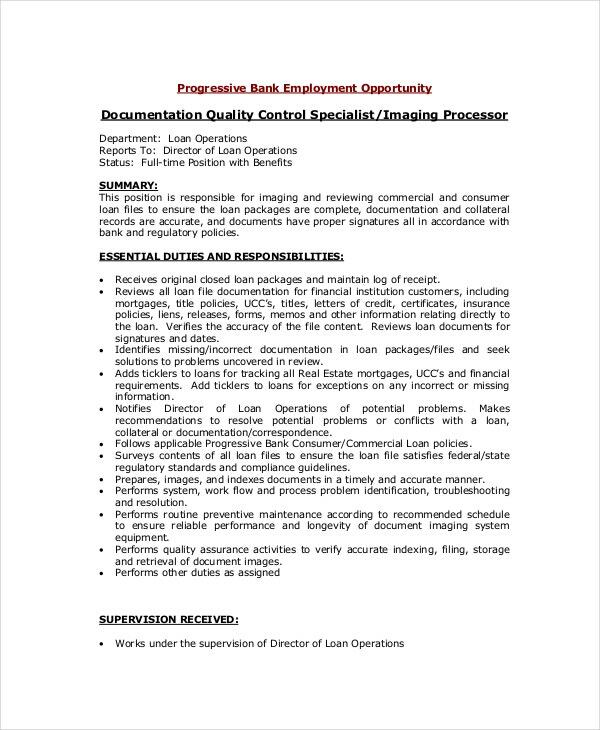 These Job Description Templates are sure to come in handy. 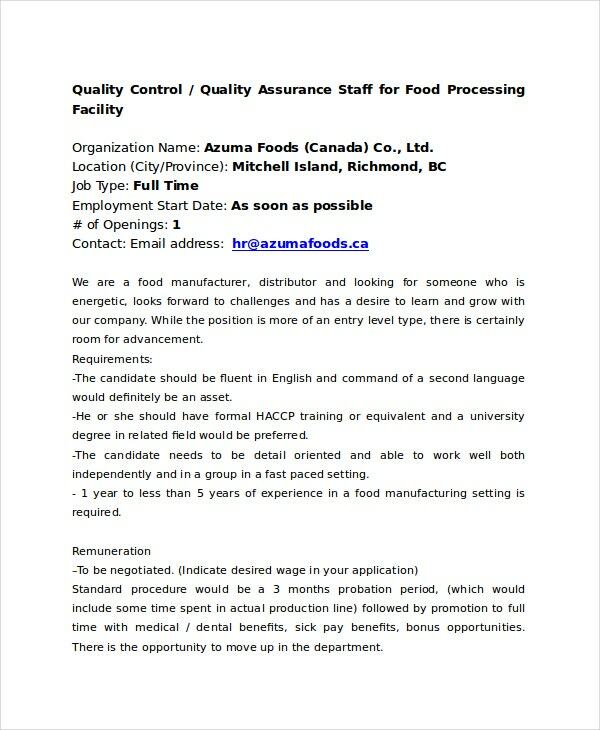 If you want to advertise for the position of a quality control manager, then you could use this quality assurance job description template to do so. Plus, it has a professional tone. 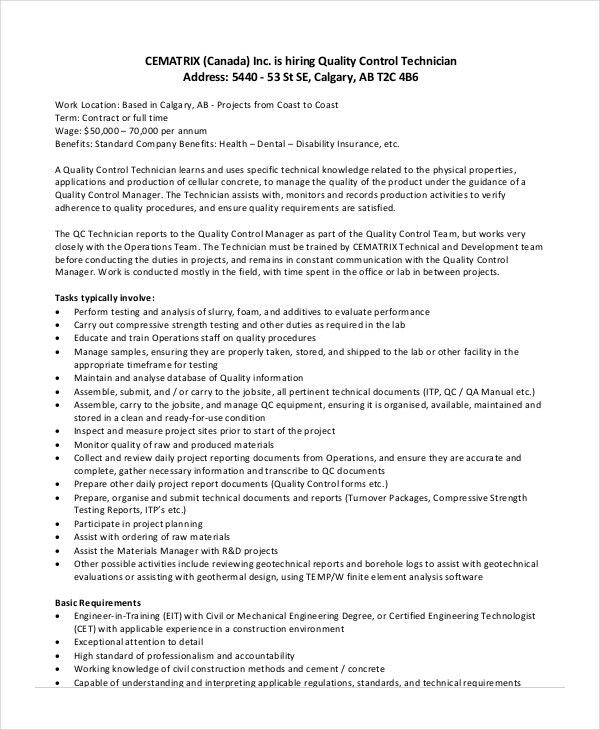 This Job Description Template would be perfect for someone applying for the position of a technician in charge of quality control. 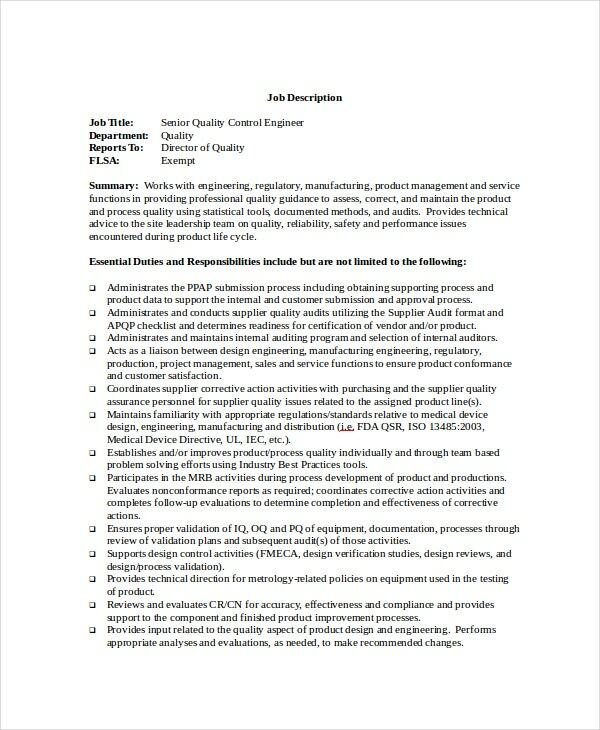 This is where this civil engineer job description can come in handy. 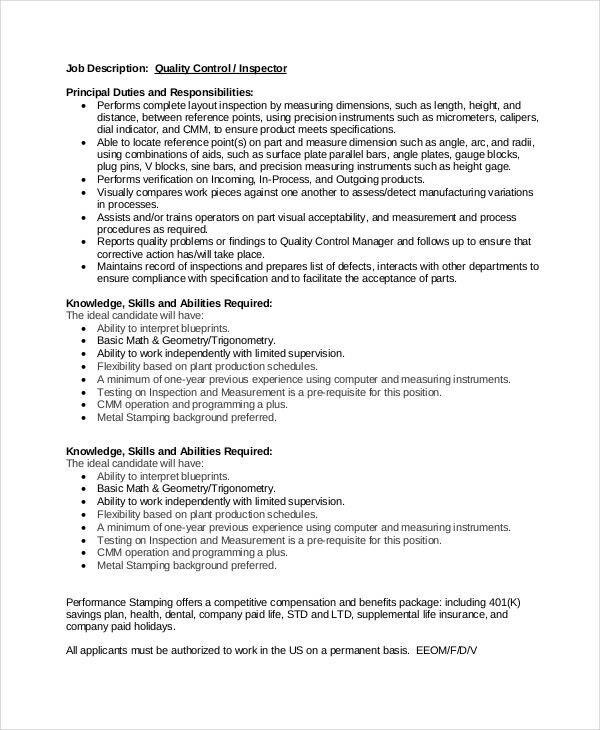 The post of an inspector is pretty high up in the hierarchy of quality control. 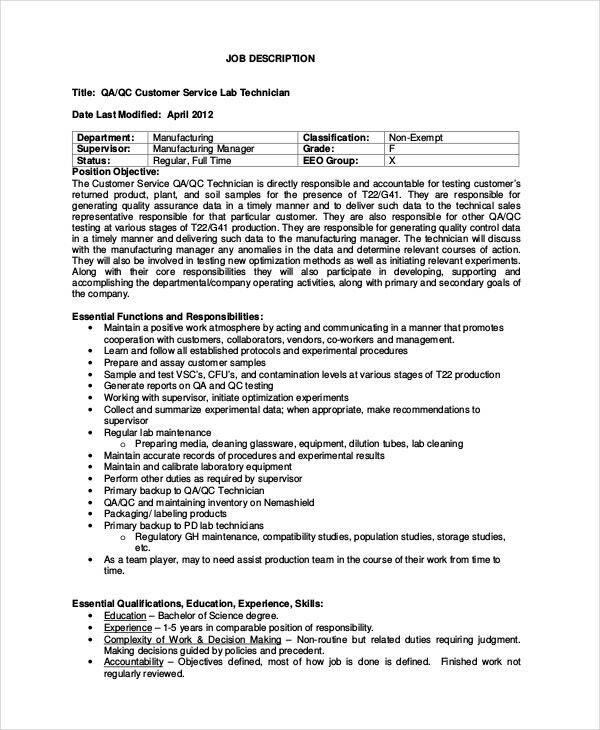 That is why you need to go for this job description template designed specifically for the purpose. 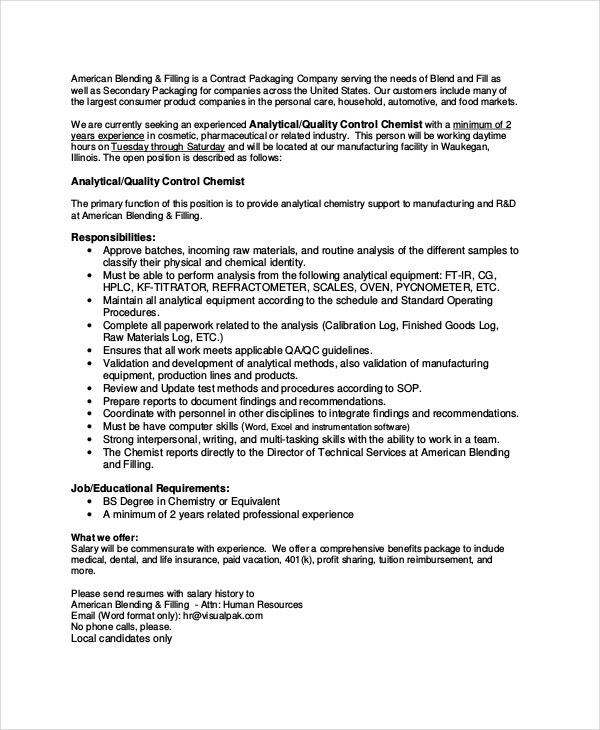 An analyst is one of the most important aspects of a quality control team. 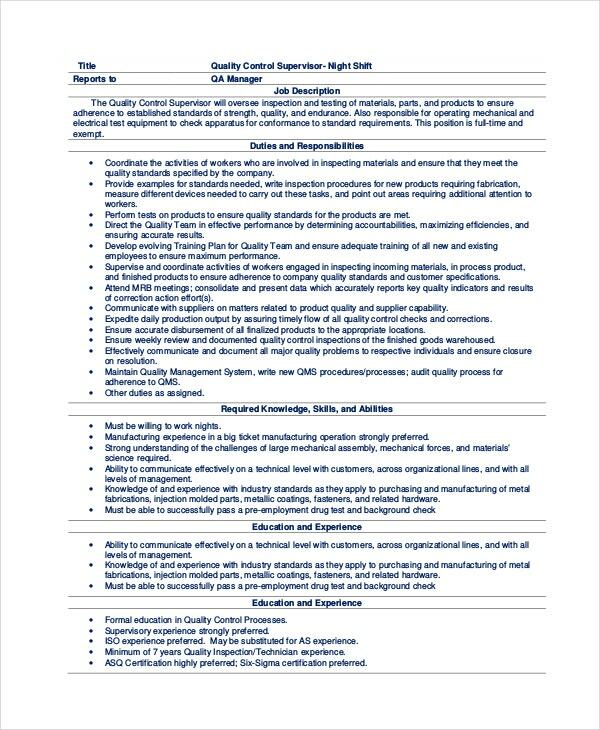 If you want a job description that befits this very important post, then you need to take a look at this template. A supervisor is the senior most person in charge of quality control at a company. 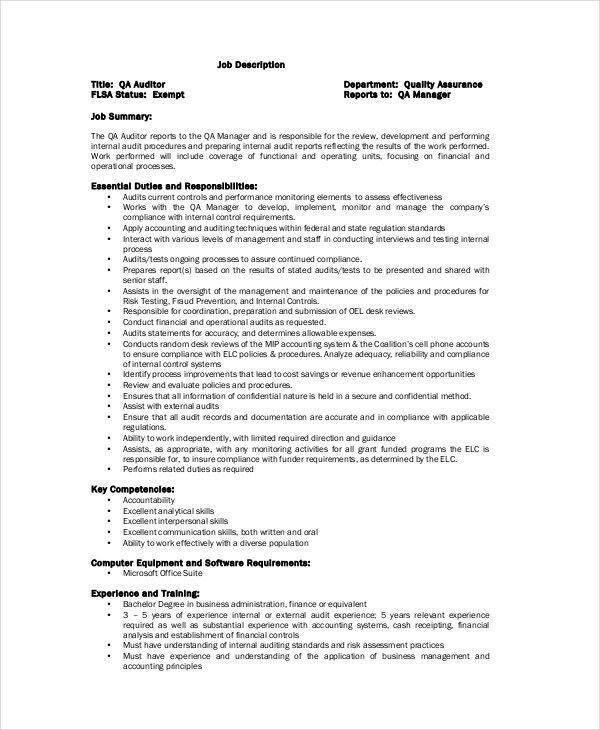 To provide a job description for such an important post, you must take a look at this template. 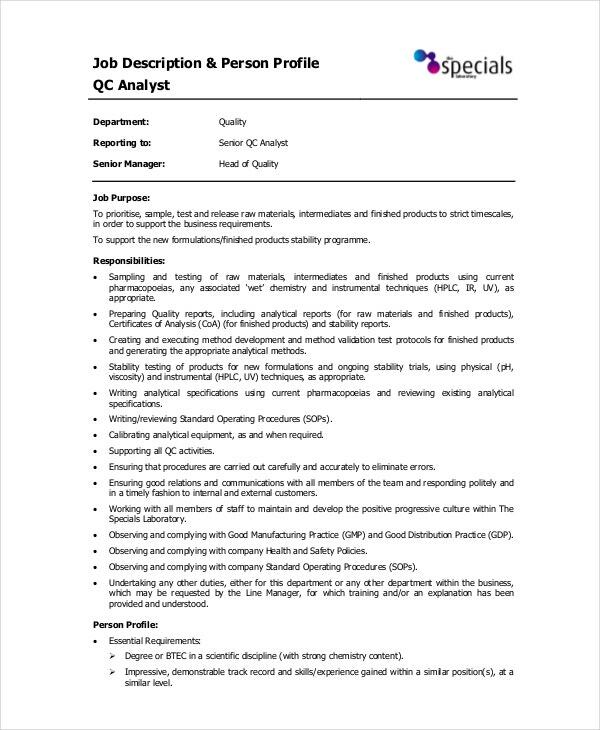 Why Should you go for Quality Control Job Description Templates? At any company, it is important to check quality of operations from time to time. Quality control would provide you with an accurate evaluation of where your company is standing and if there is any scope for improvement. More importantly, the quality control check that you carry out would tell you if you are functioning to the fullest of your capability. Now usually a separate team is dedicated to quality control. 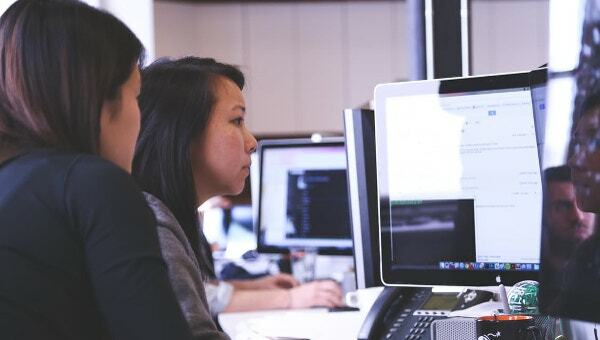 To carry out any operation related to quality control or to present the final results of the test, you can always resort to these quality control templates found here. The quality control templates would benefit your company in numerous ways. With its help, you can carry out quality checks when you want and as frequently as you want. Not only that, you will also find it easier to organise your results. The quality control templates are exceptionally easy to use. All you really have to do is download the template of your choice. A large chunk of the work has already been done for you. That saves a lot of time and energy as well. 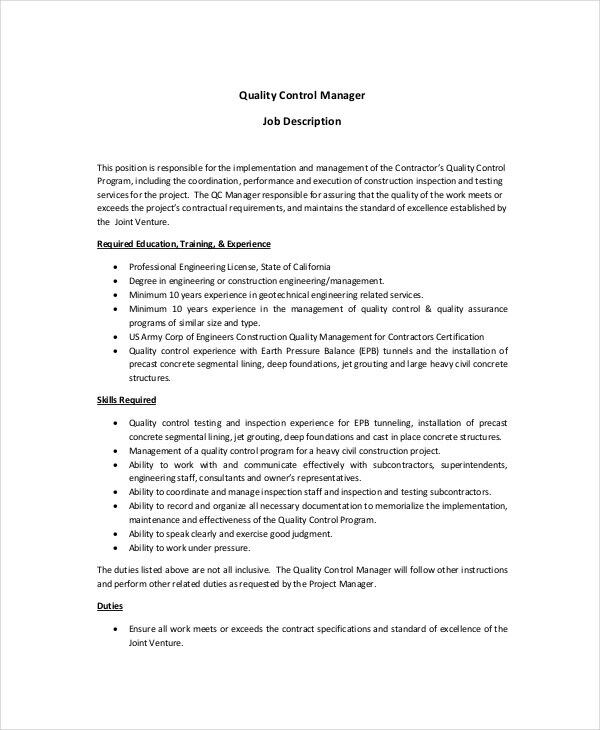 In this section, you will find different kinds of Quality Control Plan Templates. 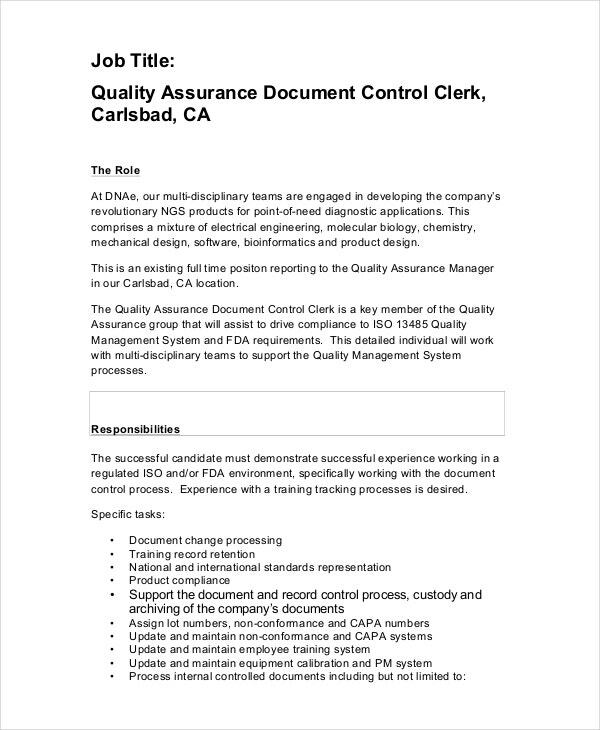 These templates would guide you as to how to go about the quality check and would also tell you what kind of people would be fit for the job. The templates here are sure to come in handy because of their flexible and versatile nature.